(VIDEO) HRH The Prince of Wales Attends Service at Westminster Abbey. On Sunday, September 20, 2015, His Royal Highness The Prince of Wales attended service at Westminster Abbey in London to celebrate the 75th anniversary of the Battle of Britain. “…the culmination of a week of commemorations remembering the victory and loss of life of the 1940 Second World War battle of the skies. A full congregation of 2,200 people ended the service by standing to applaud the seven pilots and air crew, now in their 90s, as they left Westminster Abbey together. The remaining Few, as they were honourably named by Churchill, earlier escorted to the altar the Battle of Britain Roll of Honour containing the names of those who took part in the critical battle. The Prince of Wales began the service by laying a wreath on the memorial stone of Winston Churchill, handed to him by the war prime minister’s grandson Sir Nicholas Soames. HSH Prince Albert II of Monaco Visits the Yacht Club de Monaco. 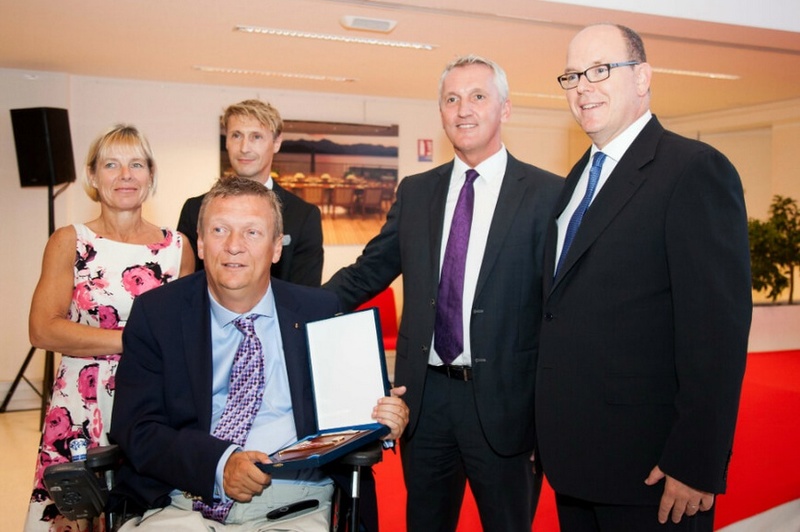 On September 16, 2015, His Serene Highness Prince Albert II of Monaco arrived at the Yacht Club de Monaco (YCDM) to witness the announcement of British tetraplegic sailor, Mr. Geoff Holt, new Accessible Oceans sailing venture. Mr. Holt hopes sail around the world solo beginning in the Spring of 2017. “…champion for disabled sailing for more than 30 years and his round the world ambition is the next chapter in his vision to make our oceans accessible to all through his charity ‘Accessible Oceans’. Over the years, Geoff has inspired millions with his epic achievements which include being the first disabled person to sail solo round the UK and first tetraplegic to across the Atlantic which he did in 2009.